Cubeb essential oil is derived from the cubebs plant, which mostly grows in Java and Sumatra. For this reason, cubebs are known by many names. Cubeb (Piper cubeba), also known as Java pepper, or tailed pepper, or shital chini / kabab chini in Hindi is a plant in genus Piper, cultivated for its fruit and essential oil. The fruit are gathered before they are ripe, and carefully dried. Commercial cubebs consist of the dried berries, similar in appearance to black pepper, but with stalks attached – the “tails” in “tailed pepper”. The dried pericarp is wrinkled, and its color ranges from grayish-brown to black. The seed is hard, white, and oily. The odor of cubebs is described as agreeable and aromatic, and the taste as pungent, acrid, slightly bitter and persistent. It has been described as tasting like allspice, or like a cross between allspice and black pepper. Cubeb essential oil contains sesquiterpenes, sesquiterpene alcohols and small amounts of monoterpenes. It adds nice pepper notes in soaps and fragrances and blends well with woods, cananga, clove and rosemary. It is extracted from the dried Cubeb berries through steam distillation method. The fully grown fruit is sun-dried and crushed and produces about 4-30 % oil. The oil is colorless to light green with a spicy odor and acrid taste. Cubeb Essential Oil has calming properties and used during stress and hypertension. It has anti-inflammatory property that makes it suitable for various uses. It is widely used as astringent and antiseptic. The medicinal uses of essential cubeb oil goes way back in history. Its use has been documented as early as the 4th century BC by Aristotle’s successor, Theophrastus. While Theophrastus taught his students various topics, his specialty was botany. He even wrote what later became a 10-volume book on the subject called “Historia Plantarum.” This was later translated to “Enquiry into Plants.” Nine of these volumes survive today and are available in paperback and hardback English versions. The importance of this written work is that it does indeed include a cubeb essential oil elixir called komakon, which is similar to the Javanese word for cubebs, kumukus. Few of us consider the practice of magic and mysticism as a truly historic science. However, alchemy was a science that investigated into this arena. While alchemy itself doesn’t directly relate to cubeb oil, the time period does. Cubeb essential oil was used for its many benefits when alchemy was common practice. Yet, it doesn’t end there. Modern Hoodoo and witchcraft practitioners still occasionally incorporate cubeb berries into their craft. Oil of cubebs was often traded along the trade route to India, China, and throughout Europe. 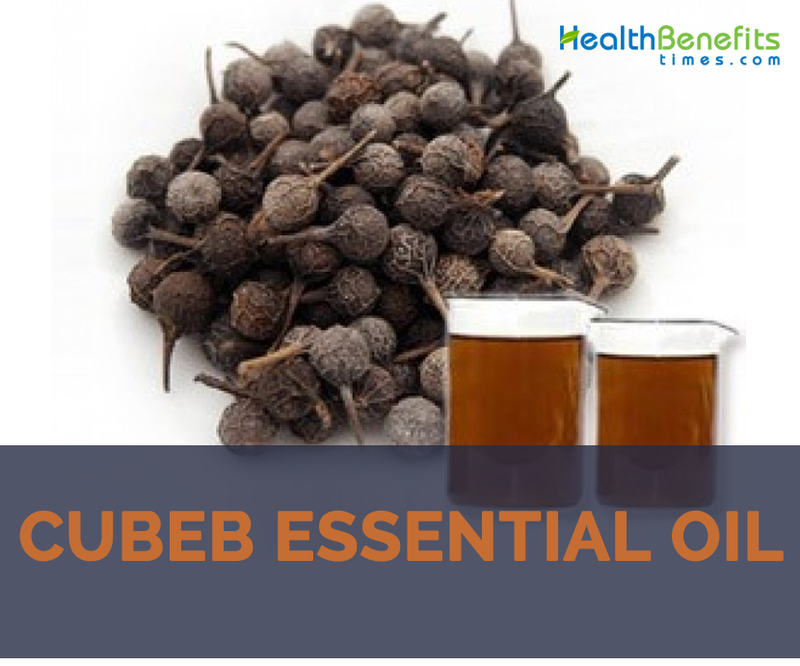 While Cubeb essential oil is rarely heard of today, it is still around and in use. Cubeb essential oil has natural aphrodisiac properties for which it was used by ancient Arabians and in the Unani medicinal system in the treatment of fertility problems like infertility, loss of sexual interest, impotence, erectile dysfunction, all stages of gonorrhea and other STD (Sexually Transmitted Diseases). Cubeb oil has a warm, pungent and slightly camphoraceous fragrance with a feel of Nutmeg aroma. Add 3 drops of Cubeb oil in 3 ml of olive oil and massage your body for arousing intimate sexual feelings naturally. You can also add 2 drops of this oil in warm bathing water before going to bed and add 1 drop of Cubeb oil along with 1 drop of Lavender or Ylang Ylang oil in your diffuser to set the right mood perfectly. Flatulence is awkward and sometimes painful. While there are retail remedies available, they don’t always work. The spice is an all-natural anti-gas alternative. Oil of cubebs possesses a carminative effect to aid in the relief of flatulence. Herbs or spices containing a carminative effect work to dispel painful gas and bloating. If you tend to experience chronic flatulence, you should consider following up with your healthcare provider. Cubeb gets a special mention in both the highly-held Ayurvedic encyclopedias, the Charaka Samhita and the Sushruta Samhita as an oral cleanser and as an aid for treating dental problems. It has natural antiseptic, antimicrobial and astringent properties that assist in killing the harmful organisms in the mouth causing halitosis or bad breath, bleeding gums, plaque and cavities. Mix 1 drop of Cubeb oil in a cup of warm water and use it as a gargle for relieving all kinds of dental and oral infections. Many popular Physicians and Herbalists like Nicholas Culpeper have said that Cubeb is an excellent remedy for clearing phlegm deposits, strengthening the brain, alleviating bronchitis; asthma, relieving congestion and treating cough and throat infections. Add 2 to 3 drops of Cubeb oil in steam inhalation or to your vaporub and massage it gently on your throat, back and chest to experience quick relief from respiratory infections with its expectorant and antimicrobial properties. Cubeb essential oil has diuretic properties that help in discharging the toxic substances in the body known as ama, which is nothing but the remains of improper digestion which slowly turns toxic. These toxic remains along with salt deposits, uric acid, cholesterol and fat can lead to numerous medical conditions including kidney problems and heart diseases. Cubeb oil acts as a stimulant in the body and promotes the proper functioning of the system. Its diuretic properties increase the quantity and frequency of urination and helps in cleansing the system. Add 2 drops of Cubeb oil in warm bathing water or in an Ayurvedic massage blend with 2 drops of peppermint oil, 2 drops of Cubeb oil along with 5 ml sesame oil assists in excreting toxic substances in the body, thus treating urinary infections, obesity, inflammatory conditions and other genito-urinary problems. Just like Pepper, Cubeb also has hot, spicy and pungent flavor. It’s strong to increase pitta energy is of great value in dealing with digestive problems like tastelessness, loss of appetite, indigestion, constipation, flatulence, intestinal worms etc., where Pitta dosha represents fire and water and is in charge of the metabolic functions. Massage your abdomen with 2 drops of Cubeb oil mixed with 2 ml of coconut oil for effective relief from digestive disorders. Cubeb essential oil is pungent, somewhat camphorous, with a touch of nutmeg or allspice. Many herbal and Ayurvedic websites tout that cubeb oil uses are effective against coughs and to relieve the symptoms of bronchitis. The reason may be attributed to the slightly camphorous nature of this tropical spice. Camphor qualities, by themselves, work by stimulating nerve endings for pain receptors. This, in turn, can relieve the pain and itchiness we often associate with coughs and throat irritations. Cubeb oil is also used as an important ingredient in lozenges, spirits, chewing gum, oral cleansers, toothpastes, cough drops, cigarettes for hay fever, asthma and chronic pharyngitis. It is also used in Ayurvedic healing for treating joint and bone problems. Cubeb is well worth using on skin rashes and inflammations. It is also useful for laryngitis, sore throat and other throat infections. Add 3 drops cubeb to a bowl of hot water for use as an inhalation, or cool this down for an antiseptic gargle. Cubeb oil is known to relieve asthma, hay fever, bronchitis, and chronic pharyngitis. Since 1815, cubeb oil has been used in the preparation of various drugs. Its antiseptic property is beneficial in treating gonorrhea, gleer, and leucorrhea. The oil’s diuretic property acts as a disinfectant relieving urinary tract infections. In aromatherapy, the essential oil of cubeb is used as massage oil to relieve muscular aches, rheumatism, and stress. Its expectoral properties treat bladder inflammations, dyspepsia, and reduce urethra discharges. The oil regulates proper heart functioning, heals wounds and cuts faster, and cures head problems. The oil is widely used as an astringent and an antiseptic. The oil is used in foods to increase appetite, improve digestion, and reduce dysentery and flatulence. Prostrate infections, vaginitis, and cystis are treated with cubeb oil. Inhaling the oil helps in relieving congestion and sore throat. Oil relieves gas and bloating. Seeds are used as a domestic spice and also for treating genitor-urinary infections. Add 3 drops of Cubeb oil in 3 ml of olive oil and massage your body for arousing intimate sexual feelings. This oil is also considered truly effective in the healing process of urinary infections. It is also used as massage oil for reducing muscular aching and stress. People can use this oil to get relief from some certain symptoms like indigestion, bladder inflammation and constant laryngitis. This oil is also helpful in treating throat infections and hypertension. The essential oil extract is used to cure inflammations and infections. Cubeb oil has a gentle stimulating effect which helps in relieving muscle pain. It is also effective against Urinary Tract Infection. Morocco cuisine uses the oil for flavoring dishes, pastries, dates, and honey. Oil was infused with vinegar to make meat marinades in Poland. 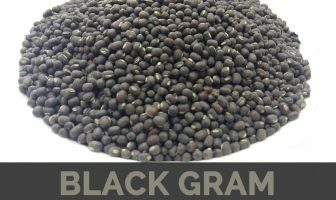 It is mostly used as flavoring agent in pickles, sauces, soups, pipe tobaccos, alcoholic and non-alcoholic beverages, meat, meat products, relishes, and condiments. In Europe it is considered to be a very important spice and used for seasoning meat. It is also used in number of sauces. Morocco cuisine in North Africa use cubeb in savory dishes and pastries. Cubeb oil is often used to adulterate other essentials, and it in tum is often falsified with other oils. Cubeb is not used much as a spice, although in medieval times it was combined with other strange and wonderful sounding spices such as galangale and grains of paradise. It was one of the spices used in the wine cordial called Hippocras. Oil is used in perfumery and soaps, some beverages, bitters, and certain medicines. Was considered a valuable spice in the middle Ages. It is used in the making of the famous spirit brand “Bombay Sapphire”. It is best to mix cubeb essential oil with another agent such as oil or water, rather than other essential oils. Many Cigarette brands available have cubeb in them. Essential oil of cubebs can bother the stomach and intestines. For this reason, if you already have problems with these areas, you should avoid cubeb oil. Due to the nature of cubebs, it is not recommended for those taking antacids or medications that decrease stomach acid. Cubeb oil when mixed with other essential oils can irritate the skin of some people. Those who are pregnant or breastfeeding should avoid using it. Those suffering from kidney disease should not use it. Do not apply undiluted or internally. Cubeb oil is derived from the small and attractive Litsea Cubeba plant. This is a small, brightly colored bush found mostly in tropical areas. The vibrant green leaves produce a pleasant, lemon odor. Small fruits that resemble peppers are used to extract Cubeb essential oil. It is extracted from the dried Cubeb berries through steam distillation method. The fully grown fruit is sun-dried and crushed and produces about 4-30 % oil. The oil is colorless to light green with a spicy odor and acrid taste. Native Native to Indonesia and Malaysia and was brought to Europe by the Arabs through Venetian trade. The plant is grown in India and China. Cubeb is not used much as a spice, although in medieval times it was combined with other weird and wonderful sounding spices such as galangale and grains of paradise. The oil is used in perfumery and soaps, some beverages, bitters, and certain medicines. Essential oil of cubebs can irritate the stomach and intestines. For this reason, if you already have problems with these areas, you should avoid cubeb oil. Cubeb oil when mixed with other essential oils, can irritate the skin of some people.